This has led to some useful conversations about the dangers of electronic charting, but it also reminded me of an uncommon electronic charting feature that might have prevented this shipwreck. 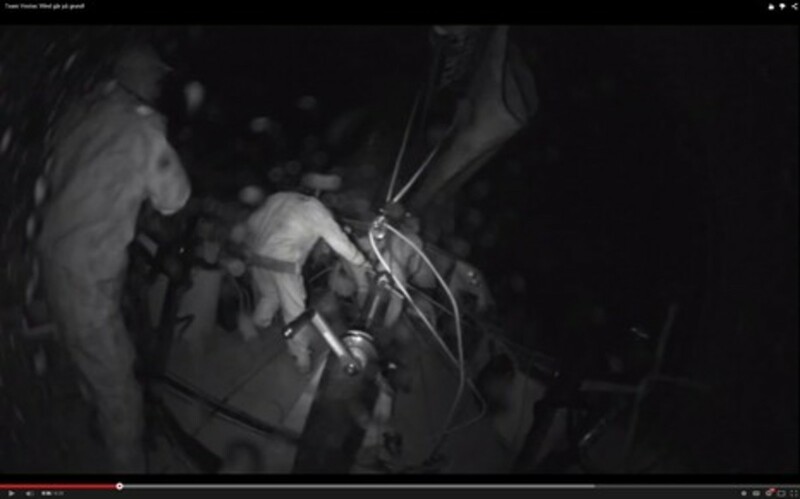 The fixed camera on the stern of Vestas Wind captured the worst possible unintended jibe. 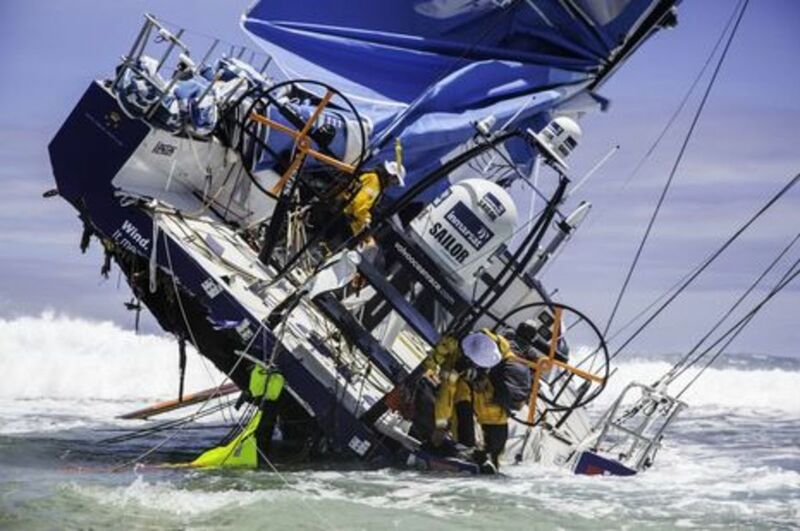 That&apos;s when you&apos;re blasting along at 19 knots through a tropical offshore night, but then your Volvo Ocean 65 suddenly smashes its way up onto a reef shearing off the rudders and spinning 180° as waves and wind take total control. That is a frightened and nearly naked man beyond the limp mainsheet and when watching the video you, too, may utter involuntary curses. No one was hurt, though, and the crew has been frank about the mistakes made. This has led to some useful conversations about the dangers of electronic charting, but it also reminded me of an uncommon electronic charting feature that might have prevented this shipwreck. It&apos;s impressive that the one-design Volvo racer hadn&apos;t already lost her mast or canting keel when this morning-after photo was taken, but the boat itself is probably toast -- note the "hinging" starboard quarter -- and according to Monday&apos;s press conference Team Vestas Wind may build another Ocean 65. Also impressive is how the crew removed possible pollutants and valuables like sails, carbon steering wheels, and that fabulous aft array of satellite, VHF, cellular and WiFi communications gear. 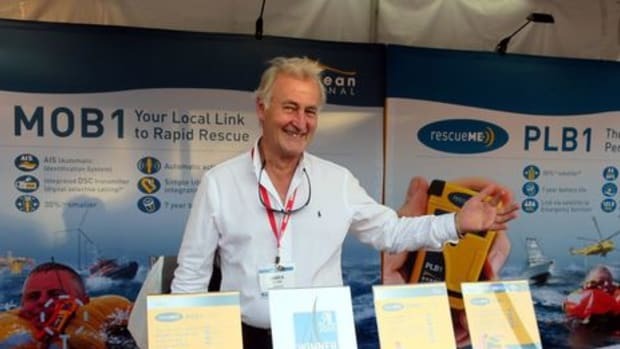 And how about a shout-out to the Inmarsat sponsorship and Cobham Sailor hardware for making the HD video coming off these boats possible even in the "middle of nowhere" via FleetBroadband. 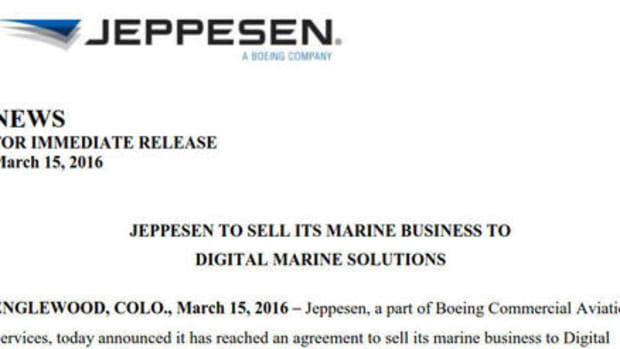 But how the heck did professional sailors make this mistake? 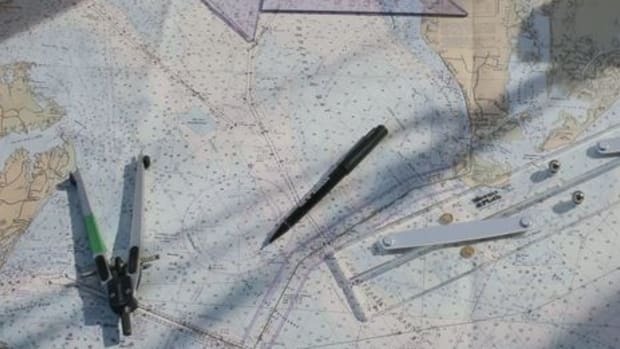 Peio Elissalde over at Marine GeoGarage posted a great collection of chart images showing the "middle of nowhere" Cargados Carajos Shoal that Vestas Wind fetched up on. I&apos;m not sure where he grabbed the screen above because I don&apos;t see a satellite map option on the Volvo Ocean Race tracker, but the fairly large area of reef and islets is certainly obvious from space. 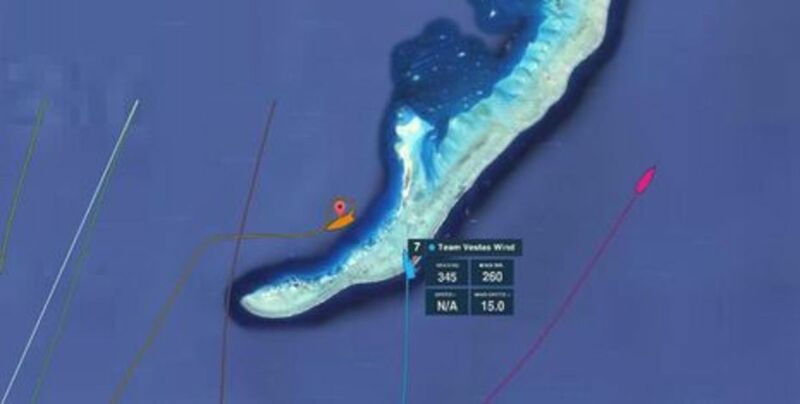 Vestas Wind is on the very steep-to and dangerous western side while Alvimedica is on the safer side ready to assist while the other racers pass by. 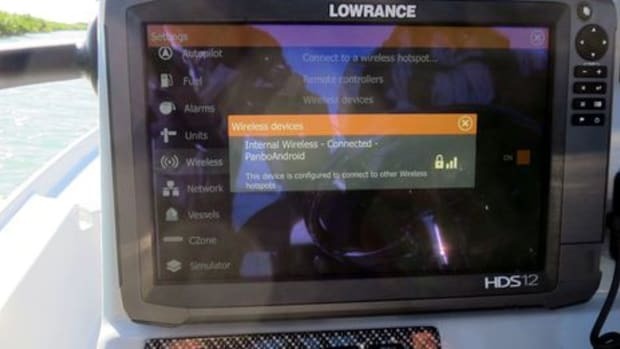 6 out of 7 Volvo boats did not make the Vestas mistake and you can see one of the techniques used on this Expedition screen from the gripping video of Alvimedica standing by. 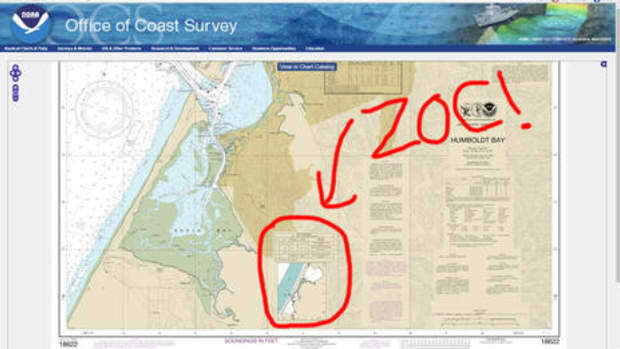 As I understand it, the light red exclusion zone drawn around the shoal would keep Expedition from routing the boat through that area and may trigger alarms, even when the chart is so zoomed out that the C-Map detail goes away. I think that a lot of regular charting programs and MFDs offer a similar boundary feature to highlight danger areas. 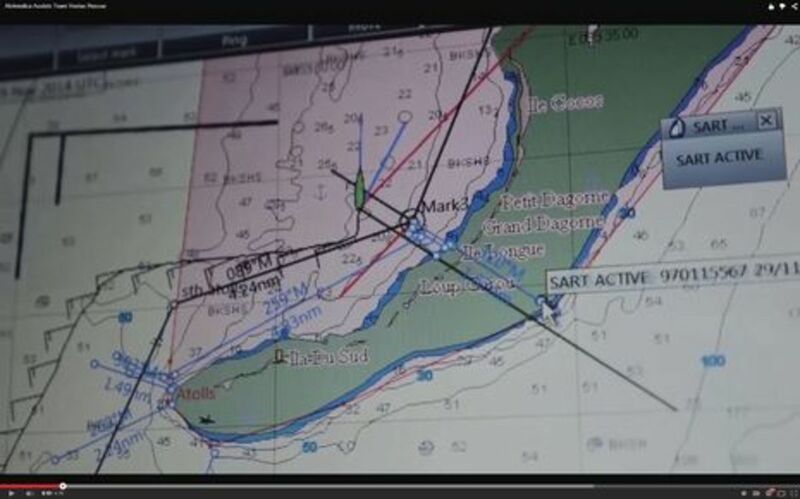 Note that Vestas is marked on this screen by one of the crew&apos;sKannad R10 AIS SART devices, and that Alvimedica navigator Will Oxley did a lot of quick route and (light blue) divider work to get safely into the bight and prepare to possibly take on passengers or worse. 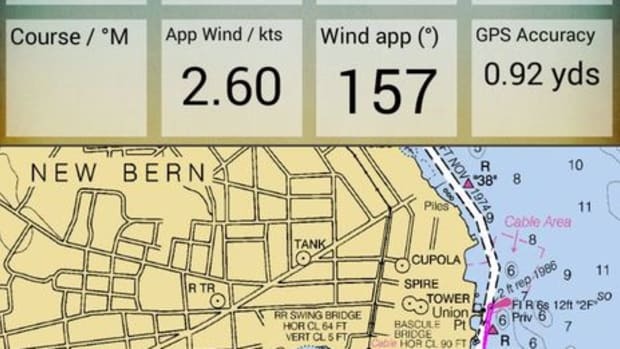 At any rate, Vestas Wind navigator Wouter Verbraak and skipper Chris Nicholson have admitted to a grievous navigation error, and hopefully, a lot of sailors will now be extra careful with their electronic chart work. But here&apos;s the thing: I believe that most every charting program, app and MFD "knows" when we&apos;re about to make such a mistake and could warn us! Vector charts are databases of objects and related information, and the algorithms that decide what gets drawn on a screen at any particular location and zoom level are what we need to be careful with. But the database includes geopositioned spot soundings and shorelines, while the display knows precisely where you&apos;re headed relative to the data. A constantly running search algorithm that concluded, "Hey, shoal water and then land 1 mile dead ahead!" doesn&apos;t seem hard. In fact, data-based grounding alarms have existed for quite a while. 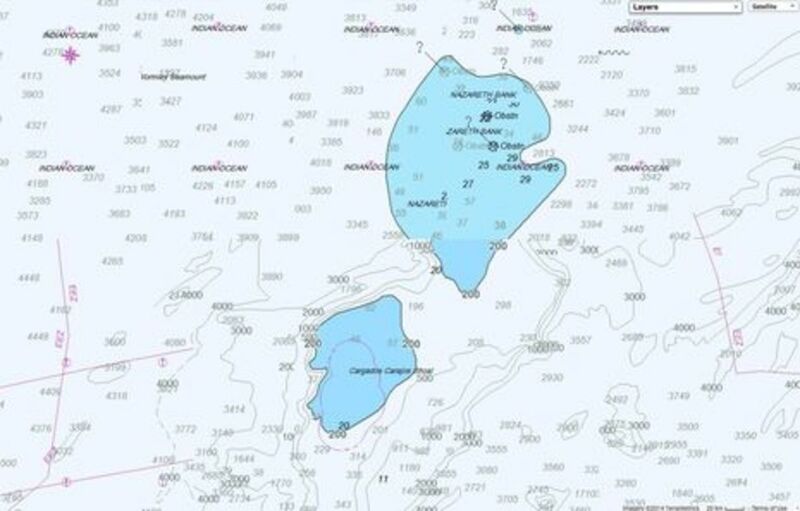 Jeppesen C-Map calls their version Guardian Alarm and any developer who wants their charting software to use C-Map Max or 4D cartography receives an SDK containing the search algorithms. When available -- and apparently that includes a lot of current chartplotters by the likes of Furuno, Standard Horizon, and Humminbird -- the MFD user gets to set a minimum draft and the distance to look ahead. 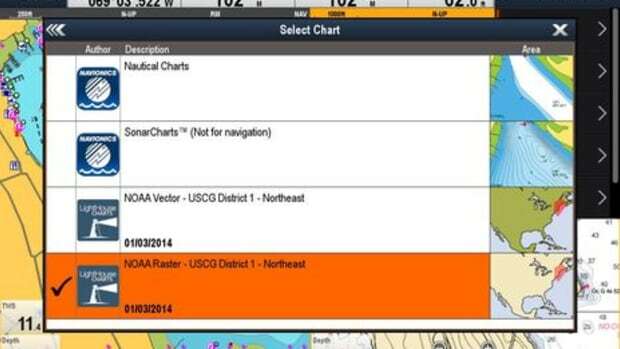 They also get to choose what chart objects will be "interrogated", and the search area is shown on the chart by that red triangle. If a danger is seen, an alarm pops up and you can also get a report showing which object type triggered the alarm. 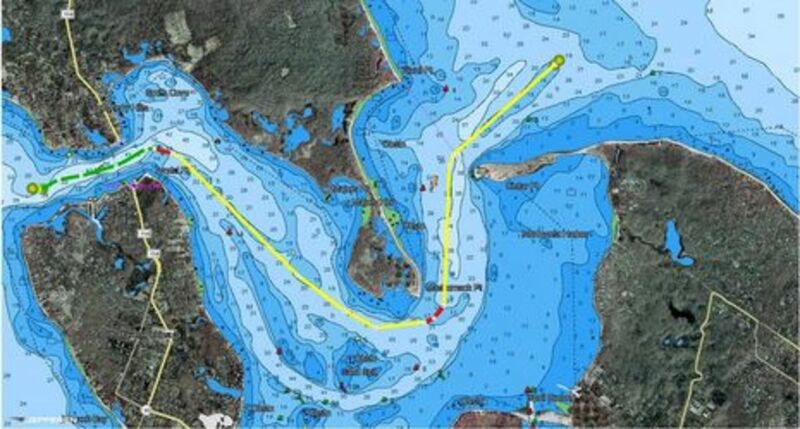 The Guardian Alarm can only be set to search 1 mile ahead at max, which is not ideal for a boat doing 19 knots way offshore, but it still might have helped (especially if they&apos;d set their draft to 99 feet or whatever that max is). And couldn&apos;t ever-improving processors handle longer ranges? C-Map&apos;s grounding alarm cannot only run when you&apos;re underway but can also be used to check a proposed route, as seen above, and note that 4D includes auto routing. 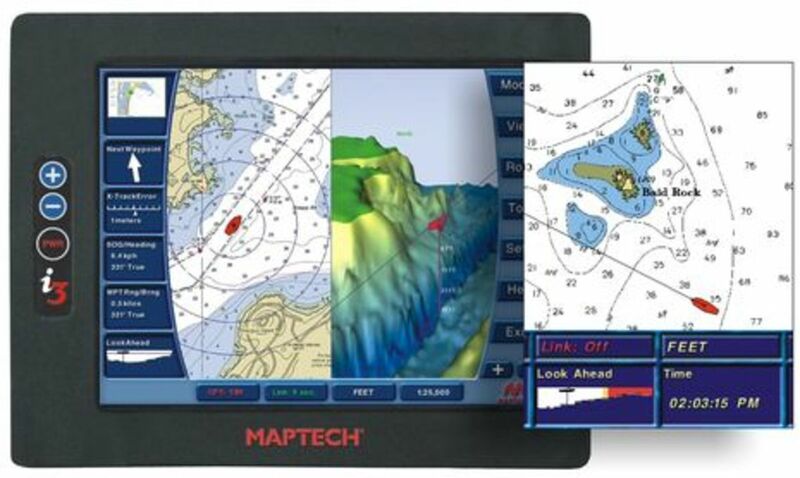 I&apos;m happy to add that Raymarine is working right now to make C-Map 4D cards compatible with all its current displays. I don&apos;t know for sure that Guardian Alarm will be part of Lighthouse II v13, but let&apos;s hope so. 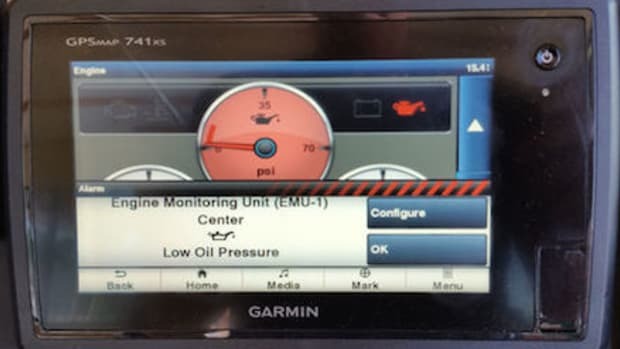 Let&apos;s also note the similar "Look Ahead" function that was prominent on the Maptech i3 over a decade ago (and also on the sister Sea Ray Navigator, also now long gone). 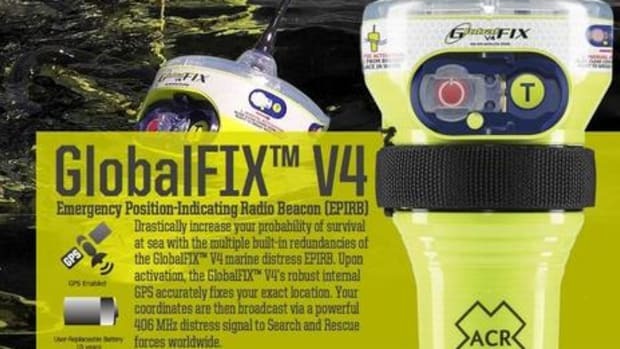 The graphic looks something like the Simrad and Echopilot forward scanning sonar that is gaining a new lease on life, but of course, is quite different in potential range and use. I want both! 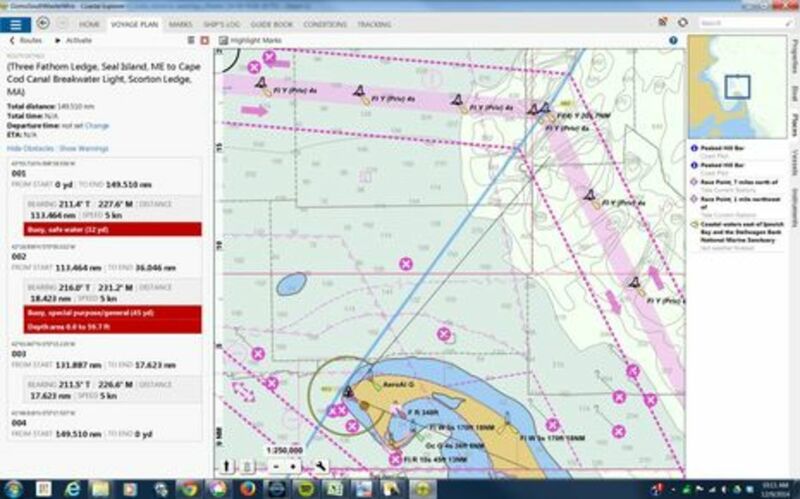 Finally, Coastal Explorer can also identify obstacles along a planned route and clicking on the red notations below takes you right to the problem area. The quickly created route name below also shows how CE can sensibly name a waypoint from the vector chart database, so if it had an underway grounding alarm it could maybe say, "Hey! Cargados Carajos Shoal 5 miles or 15 minutes dead ahead!" So, what am I missing here? We all make mistakes. 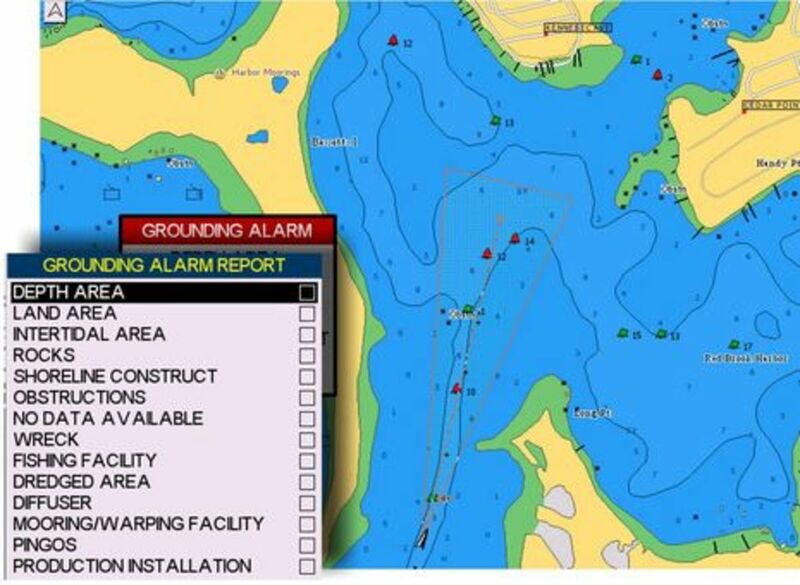 Why aren&apos;t vector data-based grounding alarms more available or used more when available?